Living and breathing Questhaven I know how close one gets to one’s work, how do you handle input for something like The Martial Arts Guidebook? How do you plan to handle patron criticism? I will take all input into account, and believe in collaborative design, but ultimately Ben McFarland (Streets of Zobeck, Breaking of Forstor Nagar) and I must make the practical decisions of how something to work, but that is the point of having professional designers on a project. I am really looking forward to patron feedback and want to make a product that fulfills the desires of the most people possible. Describe your best moment so far working on The Martial Arts Guidebook project? What do you feel is going to be the most ingenious and original part of The Martial Arts Guidebook? By building the martial arts forms into a school (or faction) format similar to that in the Pathfinder Chronicles: Faction Guide along with NPCs for each school to act as teachers, rivals, et cetera, I believe that it will allow the PCs to feel as they are actually a part of something in game, rather than just having more feats to choose from. Which design element do you foresee as being the most challenging, and why? Ben wants me to include “seeds” and “boons” as parts of the various schools that will be presented, since I don’t have a depth of experience with these, I expect these to be more challenging than other aspects of the project. What have you learned about design and especially designing for patronage projects so far? That there is a lot of hard work that goes into the project before you get to do any actual designing. Do you have any initial thoughts on new factions, traits, or archetypes? Basically, I want to introduce “techniques,” which will be feat-strength abilities powered by either ki, grit, or arcane points, depending on the class or archetype. To gain access to these techniques, you will have to join a martial arts school (as faction) with a specific focus, usually involving a single weapon group. 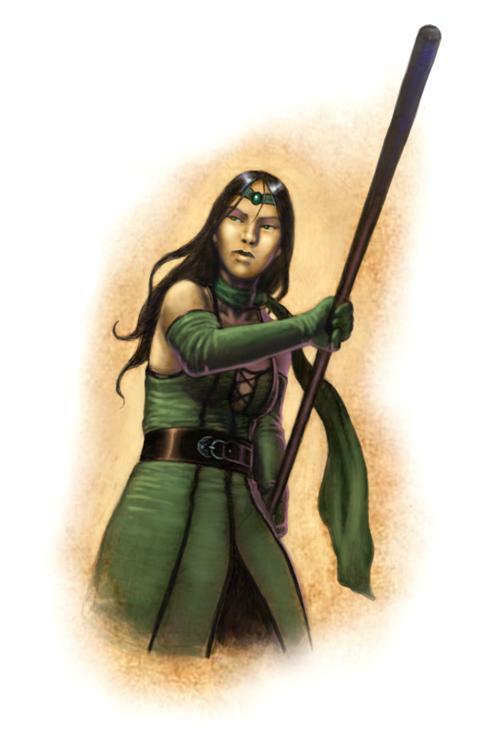 I would like to design an archetype for every one of the 21 base classes presented in the Pathfinder RPG Core Rulebook, Advanced Player’s Guide, Ultimate Magic, and Ultimate Combat so they can all utilize techniques. Ideally there will be seven or more schools with five to seven techniques per school; along with NPCs, boons, and magical items that flesh out each school. What are the initial obstacles that The Martial Arts Guidebook must overcome? How do you plan to surmount them? Right now, I would have to say word count/page count for different tiers of funding. Trying to iron out the word counts of what I want to fit into the each section. Such as the fact that I want there to be seven schools, maybe more if we can get some Rite Publishing campaign-specific and patron-designed one, in the final product. We have a long history of attempts to do fantasy martial arts in the RPG industry how do you decided what has become cliché and what is a valuable trope to explore? I think that most RPGs focus on the “martial” and not enough of the “arts” aspect of martial arts. The fact that it is most often treated as just “fighting” along with the large focus on unarmed martial arts—on a fraction of martial arts as a whole—I think has been a detriment to the art form.